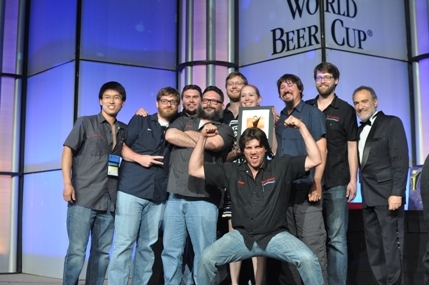 Brewers from around the world received awards from an elite international panel of judges in the 2012 Brewers Association World Beer Cup. The ninth biennial competition boasted the strongest field of entrants on record, with 799 breweries from 54 countries and 45 U.S. states entering 3,921 beers in 95 beer style categories. A 17.7 percent increase over 2010, the entries were eligible for gold, silver and bronze awards in their respective categories. Judges presented a total of 284 awards. Watch the World Beer Cup Gala Awards Dinner introductory video.